Ms Nooyi, 63, stepped down as PepsiCo’s chief last August after leading the company for 12 years. It is unclear whether Ms Nooyi would accept the nomination if chosen by the Trump administration. 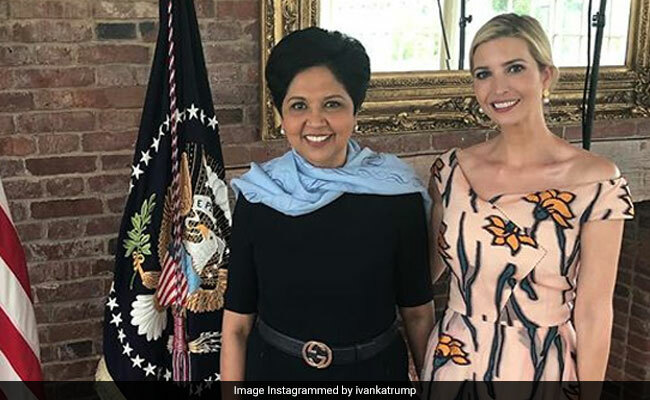 The first daughter, who has tweeted that she views Ms Nooyi as a “mentor + inspiration”, has floated her name as a potential successor. The NYT report said that the process of choosing Mr Kim’s successor is being overseen by Treasury Secretary Steven Mnuchin, acting chief of staff Mick Mulvaney and Ivanka Trump, whose role in the process was announced by the White House on Monday. Ivanka Trump’s “role in the process drew some criticism from ethics watchdogs Monday, which said it could pose a conflict of interest for the president”s daughter to be involved in international economic matters when she has not completely divested from her assets,” the report said. Ms Nooyi joined Trump’s business council, which was disbanded after many chief executives quit following the president’s comments blaming “many sides” for white supremacist violence in Charlottesville, in August 2017. The report, however, added that negative comments made by Ms Nooyi after the 2016 election, during which she did not publicly endorse any candidate, are seen as a potential roadblock to her nomination. Ivanka Trump is a successful businesswoman, fashion designer, author and reality television personality. She has her own line of fashion items, including clothes, handbags, shoes, accessories which are available in all major US departmental stores.